This text was written as the answer for special request from Kalashs pagan dissidents to European pagan traditionalists. After finishing work on the text, it was smuggled to the Chitral Valley, where he received good feedback from local elders. Their story is very exemplarily for European pagans and folks, so we decided to add it here too. Kalash are an autochthonous people of the Chitral valley, Pakistan. Kalash are people on the verge of extermination. The radical Islamists (Taliban, Pashtuns, etc.) and the government of Pakistan are exterminating the Kalash people. Because kalash from time immemorial preserve their pagan tradition, their culture, language and identity. Kalash are exterminated because they do not want to accept Islam. The one who accepted Islam can no longer maintain the way of life accepted by the people and falls out of it. To date, representatives of Kalash remained ~4,200 people. Despite the fact that there is a huge geographical distance and strong cultural differences between Europe and the Chitral valley in Pakistan, one can see something in common and similar in the situation in which the peoples of Europe and the people of Kalash have appeared. Almost two thousand years ago a new Eastern religion came to Europe – Christianity, the elder brother of Islam. It’s behaved aggressively, planting faith in their God with fire and sword, slaying those who remained faithful to their native Gods and customs (infidels, “kafirs”). Christianity was and remains a religion of exclusivity; the gentiles were blind people: sinners, blind men, and pagans. While Christianity established its power in Europe, the younger offspring of Abrahamism – Islam – seized the East and Asia, coming to the lands of Afghanistan, India and modern Pakistan. What the local peoples of Dardas, Nuristanis and Kalash encountered is comparable to our past. And today Europe is experiencing a real Islamic occupation, the invasion of another one Abrahamic religion of hatred for original traditions and peoples. But what Europe has faced today, for Kalash has long been an everyday reality. The modern tragic situation of this people is a bright and vivid image of what Europe and European traditions are waiting for in the near future. We hope that our words will find a response from the people of Kalash and all the others who found themselves in a similar situation in this region and neighboring countries (for example, in the valley of Kashmir, where the brilliant teaching of Shivaism was expelled); among all those whom the Islamists forced to flee to the mountains, bury their relatives and abandon their Gods and customs. We hope that our thoughts will benefit you. Although we are different, but there is one threat over us. Kafiristan or the Land of the Infidels, is one of the earliest and well-known names of the mountainous region of Pakistan, inhabited by many people’s with different languages, cultures and religions. The Chitral valley refers to Kafiristan. In Islam, the infidel (كافر) means a “heterodox” or “infidel” – a person who does not follow the truth of the Koran and professes another religion, most often pagan. In Islam, polytheism is one of the most serious sins. Polytheism in Islam is called shirk (شرك). Shirk is the worship of someone or something equal to Allah and both with him, just as much as God or the glorifying of many Gods, as well as the ancestors, the spiritual owners of the mountains, rivers and ravines. The pathos of Islam rests on a radical and irreconcilable confrontation between Islamists and all who have not yet accepted Allah as their God. Islam makes a very simple choice: rejection of one’s native religion or execution. 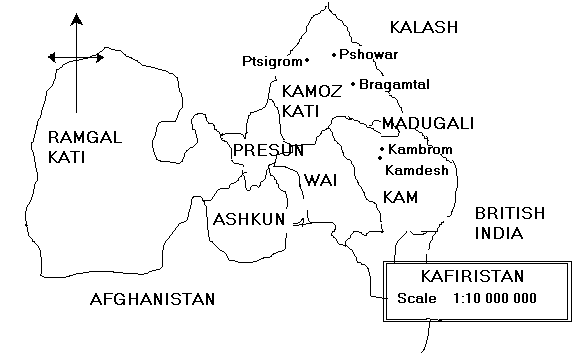 Historically, the Kafiristan region was inhabited by peoples with their unique and rich religious culture. Islam began to suppress them and turn to their faith by force, but it was possible with difficulty. The mountainous region is very difficult to access. Hence the common name for these lands appears – the Land of the Infidels. The country, which by default is populated by people, enemies and potential slaves. The name of the country and the peoples inhabiting it, as well as the pressure of Islamists, lead to the formation of a special identity of “kafirs” – it`s a state of the people who are in transit from their culture to Islam. On the one hand, they are still polytheists (infidels, shirk), on the other their culture and language have already experienced by a serious influence of Islam. The Nuristanis called themselves “kafirs” until they gradually converted to Islam, in order to avoid harassment and threats. In this regard, it is instructive to recall the second name of the country of Kafiristan as Nuristan (Nurestān) or the Country of Light, which it received after successful conquest by Muslims. Now Nuristan is a province of Afghanistan, but not all of Kafiristan. It is very significant that infidels can become “light” (bright) only after the conquest by Muslims. The path from the “Land of the Infidels” to the “Land of Light” lies through the rejection of one`s religion, customs and culture. We want to emphasize this point especially. By adopting Islam (or any Abrahamic religion) it is impossible to save fully one`s own identity: culture, language, way of life, customs and, even more so, religion. Islamization = creeping arabization: the sacred text of the Qur’an is written in Arabic and should be studied only on it; key terms of religion came from Arabic and Persian languages; Many of the Shariah and Sunnah regulations come from the life and customs of the Arab people, which means they are not universal; the holy places of Islam (Mecca, Medina, the birthplace of the prophet) are on the Arab peninsula, that is, geographically Islam is inextricably linked with the Arab world. Any people (or person) that accepts Islam are gradually begins to acquire Arabic features, words, norms of behavior from the Sharia and the verses (ayahs) of the Koran. And their own native and ancient customs are either forgotten, or their perception changes to a different, often worse side. A person who from now on lives according to Sunnah and Sharia cannot perform customs and rituals native to his people, which means that he falls out of the body of the people, from the clan of his family and becomes a stranger to his Gods. The people expel him from himself, or he himself leaves his people, acquiring intolerance towards his past relatives, known now as kafirs. Thus, Islam is always against people’s identities and religions. Inside Islam, only fragments and parts of a common whole can be preserved; Only that which does not contradict the dogmas of this rigid religion. Abrahamic religions are always a way to loss of themselves. Nevertheless, we know one kind of the interesting practice: pagan peoples, who are under threat of destruction and terror, begin to mask their tradition under the guise of Islam in order to smooth out the severity of confrontation and differences. They mimic and/or adapt purely externally. Meanwhile, within the people there is a more rigid so-called “quiet opposition”, the groups of those who are tough against Islam and with all their might advocate the preservation of their culture, their people, their traditions and their way of life. These are those who stand and fight for their freedom. This is the Resistance. And with them we want to share the following thoughts, arranged in several paragraphs. Religion is the basis of everything, of all customs, taboos, rules and rituals flows from it. Preservation of religion is the preservation of oneself, of identity. Religious practice is extremely important: rites, cleansings, sacrifices, funerals, rituals, prayers. All this must be preserved and passed on to the children. The Gods never die, but the people can forget about their Gods and their altars, stop sacrificing goats, bringing food to them and offering prayers. So the folk lose their holiness, lose their soul and sense of their existence. Language is extremely important. The language or languages of the folk is the matter of their thinking and the preservation of religion and traditions. Language is the connection of a person with his family and folk, this is the language of prayer and the language in which the names of Gods and spirits are pronounced. One of the options for preserving your heritage is the maximum record of everything that is possible. Yes, the Chitral and Kafiristan regions have been studied by scientists for almost a hundred years and they have compiled many detailed descriptions of the life, culture and religion of the Nuristanis, Dardas, Kalash, Pshowar and other folks. But they are carriers of a different way of thinking from a different culture, and they describe what they see as observers. Their position is outside point of view, so they lack the important and subtle nuances and inner sacred experiences of Kalash. They come on time, they are not threatened with extermination so they do not see everything and do not understand everything. But you are inside, everything is available to you. Therefore, we are not talking about the records of scientists, but about your own chronicles, sacred texts, stories, and so on. These would be texts saturated with living experience that your descendants would understand better than dry descriptions of scientists. Teaching young people the basics of their culture, language, religion and customs is what is called “soft power” and very well combines with the internal opposition (quiet opposition). Modern European or Islamic education will not bring anything good, it is a path of forgetting one’s religion and loss of identity. Do not get dreamily affected by the West in any way. Moreover, modern standards of education directly contradict the life and year rhythm of Kalash. Due to education, children are excluded from ritual life, religion and the spirit of the people are declining. Therefore, it is very important to develop your own education system, which will be flexible and convenient for young people (in general, the rate on youth and children is the most important), and will also broadcast the culture of kalash and form the folk in the light of traditional values. Culture in the broadest sense refers generally to everything and speaking about education, religion and language, we actually spoke about it. But also should pay attention to the material culture: crafts, things of life, styles of wood carving, embroidery on clothes and the costumes themselves, the architecture of buildings. 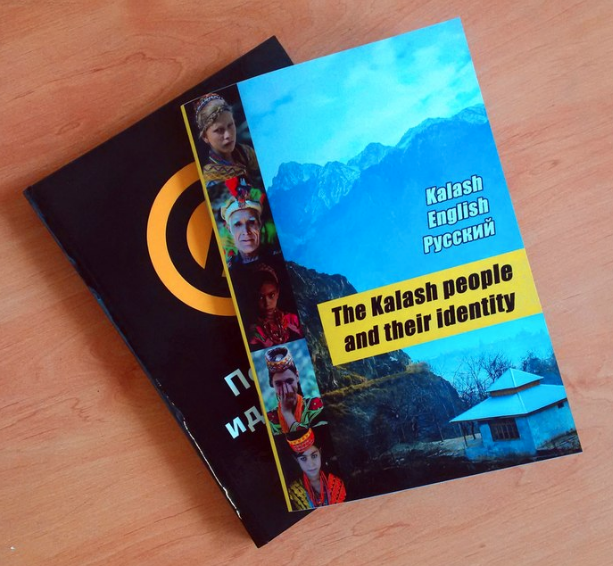 It would be important to describe all the variety of things in everyday life and in the religion of Kalash in their connection with the myths, legends, taboos and holiness that surrounds them. Not as scientists do, but from within and in all whole diversity of them. It is useful to publish your own newspapers or leaflets in your native language, in which to talk about Gods, rituals, culture and news in the community. They should be understandable and pleasant. The influx of scientists, tourists and their money was the factor that halted the oppression of the Kalash people by the authorities. Kalash became a “reservation” with the help of which the government earn money. This is a dual position. On the one hand, tourism today is a guarantee of the existence of Kalash and a financial source; there was a tourist status-quo. On the other hand, tourism is a form of degradation of folk culture. Once sacred dances, crafts and actions turn into a show, performances and play before the ignorant public for money. The sacred meaning of ritual actions is lost, only the external form remains, often also distorted. A completely analogous situation occurred with some small indigenous folks in Russia: from their tradition there were only a tourist festivals and theatrical productions, the meaning of which no one already knows or understands. Identity is lost. But tourism also provides a potential plus for Kalash: Pakistan government make profit on tourism, it brings money. 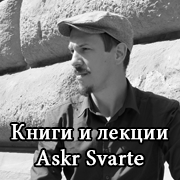 So, in the hands of kalash there is a lever of pressure on the government – the money for tourism. You can gently, softly blackmail the authorities through restrictions on tourism or prices, so they make concessions to Kalash and expand your rights. Once tourism in the Chitral became the factor that stopped the Islamic invasion, which means it’s worth something. In this situation, we cannot give any specifics. We understand the importance of tourism as a factor in the survival of Kalash, but we want to emphasize that it carries many negative aspects. There is no single-valued solution for today. This item includes everything that can be done to ensure that the Kalash people depend as little as possible on the Muslim environment and the state of Pakistan. As we know, the lands of Muslims for Kalash are unclean, dirty. Therefore, all economic ties with the “outside world” of Islam should be minimized, as far as possible. Than the more independent Kalashi will be in matters of economics, water, food, and the like, then the less leverage will be for radical Islamists to pressure your people. It is also very important to slowly but surely seek to expand your own lands: valleys, slopes of mountains, rivers and gorges. Territory = pastures, water, plants, trees, food and space for families. It is also very useful to attract the attention of the world community and human rights organizations that can organize humanitarian assistance and draw attention to the violation of rights and crimes against Kalash from the side of Islamists. First: Is it possible to move the people of Kalashi to another, more tolerant region? For example, to India (as was once done by residents of the Kashmir valley) or to hard-to-reach mountain regions of neighboring areas? This is a very difficult and radical decision, but in the face of the threat of a final extermination and loss of the sacred light this may be the only one way out. Second: The people have a “quiet opposition” to Islam and a movement to protect their own identity and the freedom of their people. It is necessary with the help of “soft power” to gradually raise the voice in defense of themselves. Recall that once Chitral was completely the land of Kalash. That once Kalash and other peoples lived perfectly and freely without Islam. It is necessary to establish contacts and links with the opposition to Islam among the neighboring and distant peoples of Kafiristan, creating a united front of Resistance. This will give moral support, communications, information, shelter to refugees and support. We know that once Kalash were warriors and widely celebrated victories. Today is the time when it makes sense to take your neighbor not as an enemy, but as an ally and stand together for the freedom of your people against the hateful religion of Muslims. This is also a difficult prospect, but it must be studied and considered in the most serious way. And let Balumain spill grace&light over your kins! Eng: Karl Jettmar «The Religions of the Hindukush», 1986. Deu: Karl Jettmar «Die Religionen des Hindukusch», 1975. Rus: Карл Йеттмар «Религии Гиндукуша» М.: ГРВЛ. 1986.